First Floor 96 sq. ft.
Screen Porch 96 sq. ft.
Width 12 ft. 0 in. Approx. Height 11 ft. 4 in. First Floor 7 ft. 0 in. 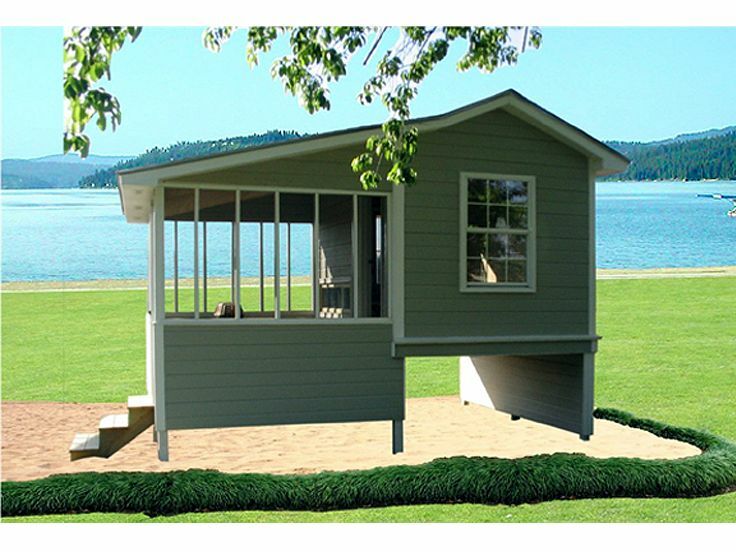 This versatile shed plan is the ideal addition to your backyard or a wooded piece of property. It offers a large screened porch (96 square feet), perfect for dining alfresco or enjoying the summer breezes while you relax at your lake house. 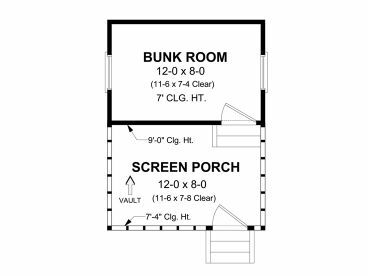 The attached bunkroom (96 square feet) gives the kids a place to sleep while at the lake or a place for friends to “rough it” while visiting you. A multi-purpose design also allows for storage or lawn and garden items or even makes a nice hobby room or studio away from the main house. 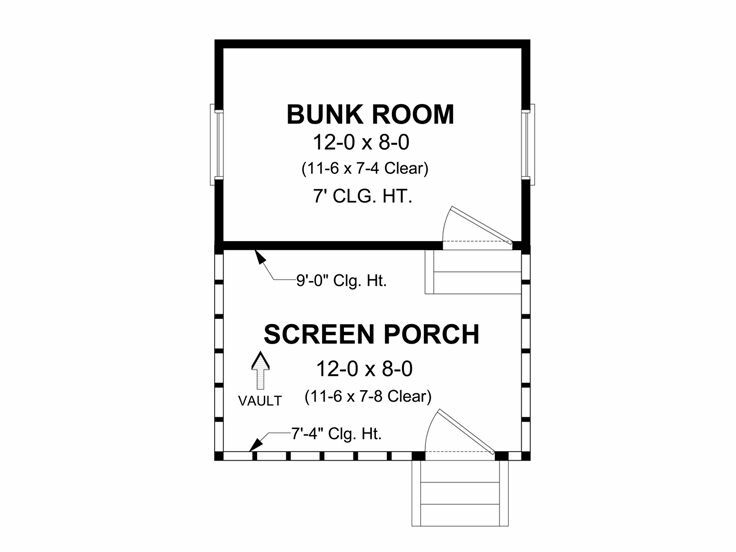 Add function or storage to your property with this shed plan.